Serious Games Report On Early Footholds in VW Spaces, OTOinsights, the research arm of One to One Interactive, has released the second t=zero report entitled Player Engagement and In-Game Advertising, presenting a series of five insights for the design and dissemination of future in-game advertising. 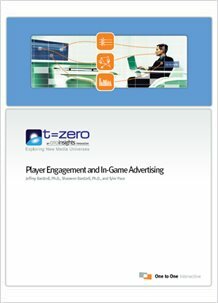 t=zero Report: "Player Engagement and In-Game Advertising"
In-game advertising (IGA) refers to the use of computers, the Internet, and video games as a medium for the delivery of advertising materials. IGA is one of the fastest growing forms of advertising. 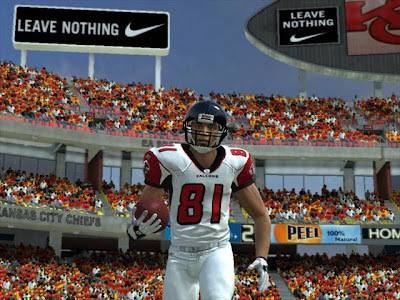 PriceWaterhouseCoopers estimates total spending on in-game advertising to reach $1 billion by 2010. The impressive growth of in-game advertising can largely be attributed to both the increasing popularity of video games in general and the desire to reclaim the 18-35 year old male demographic, which is rapidly turning away from television towards video games. In this paper, OTOinsights offers an analysis of physiological engagement with advertising-rich video games. Physiological engagement was measured with OTOinsights’ Quantemo™ neuromarketing measurement platform. Analyzing the results from three separate physical traces in combination with eye tracking and interview data, they present a series of five insights for the design and dissemination of future in-game advertising. OTOinsights’ t=zero initiative is an industry-academic collaborative research project between One to One Interactive and Indiana University’s School of Informatics Their objective is to determine useful measures of user engagement and experience with digital and social media. "Our second publication, focused on Player Engagement and In-Game Advertising, is meant to objectively measure the effectiveness of the various tactics major brands utilize in creating advertising for use in video games. Our hope is that these findings will help guide future efforts as we see continued innovation in that space." 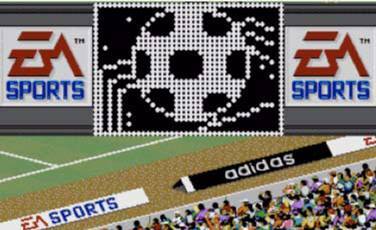 Static in-game advertising is the oldest form of in-game advertising and for commercial purposes dates back to the early 1990s, when sports games began placing static banner ads for popular sports brands into their products. 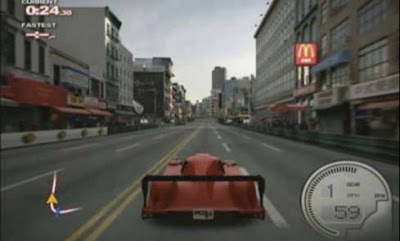 Dynamic in-game advertising first appeared in the mid 2000s and depends on the relatively recent ability for video game consoles to access the Internet. 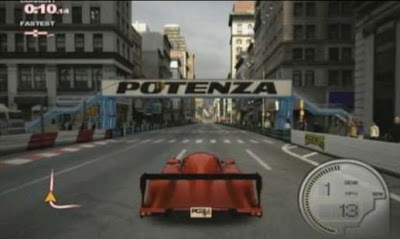 Network access enables game publishers to dynamically serve and change ads in games based on a variety of criteria (e.g. time, season, demographics, and geography). Electronic Arts and Massive Inc., a wholly owned subsidiary of Microsoft, announced early this year an expansion and two-year extension of their agreement to offer dynamic in-game advertising for EA video games. 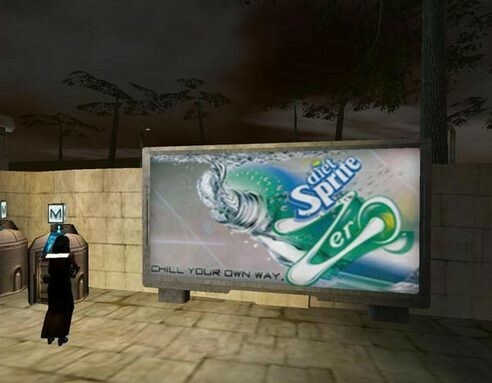 Online in-game advertising refers to immersive online advertising environments, such as the interactive areas in the virtual worlds of Second Life devoted to The L Word, NIke, and the Pond. These 3D immersive advertising environments may include features ranging from simple street banners to detailed recreations of a prominent building, car or other product. 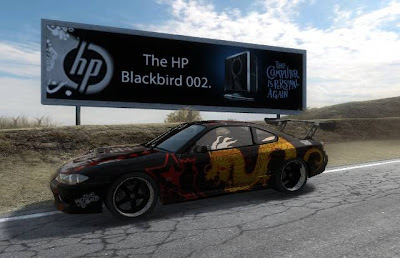 The L Word in Second Life, is a 3D immersive and interactive advertising environment. The study explores the challenges of developing in-game advertising and matching it to a context appropriate game setting. The effectiveness of in-game advertising is a growing topic among advertisers, researchers and game publishers. Current metrics that measure ingame advertising are primarily limited to ad impressions. Ad impressions have a troubled history as an effective advertising measure for web, print and other traditional media. As evidenced by the work of the Advertising Research Foundation and others, measures of engagement are rapidly replacing impression based metrics for advertising research. In-game advertising is contained within one of the most dynamic, visually stimulating and cognitively demanding media to date, and as such provides a very challenging and poignant medium for measuring engagement instead of impressions. The study presented in this report explores the use of a broader range of metrics for measuring in-game advertising. In particular, the study looks at whether or not players actually look at ads, which and what type of ads they remember, and player associations with in-game advertising. To achieve the goals of this study, a multi-modal approach to digital media evaluation was used, which combines traditional behavioral and interview assessments of user experience with the measurement of biophysical responses while exposed to advertising materials. 1. More recent ads are more readily remembered. 2. Highly visible placement compensates for low brand knowledge. 3. Brand knowledge compensates for low ad visibility. 4. Engagement and brand recognition are positively linked. 5. Context-appropriate ads build positive brand associations. New knowledge about human behavior brought to light by neuroscience has fundamentally called into question the old mental models of how advertising and marketing work. Gone is the notion that consumers make decisions in a linear think-feel-do way and behavior is guided by rational-only principles. Instead, memories, emotions, associations, and thoughts play a primary role in how individuals relate and ultimately engage with brands. OTOinsights is a collection of primary and secondary research offerings that is breaking new ground in neuromarketing to offer clients advanced and scientific levels of insights into how their consumers engage with them across the landscape of new media channels. OTOinsights’ t=zero shall finish the year with a series of reports focused on measuring emotion response to digital video. OTOinsights is a collection of primary and secondary research offerings that is breaking new ground in neuromarketing to offer clients advanced and scientific levels of insights into how consumers engage with their brands across the landscape of new media channels. Established in 1997, One to One Interactive assembles solutions for brands, agencies, and publishers executing one-to-one marketing strategies. By bringing together a leading digital marketing agency, a most comprehensive portfolio of permission marketing platforms, unique performance based social media networks, and cutting edge neuromarketing research techniques, One to One Interactive builds informed and creative customer/constituent strategies on the belief that digital media’s ability to enable engaging one-to-one dialogues is the future of marketing.